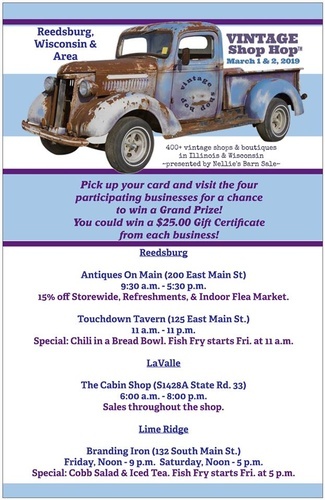 Friday-Saturday, March 1-2, 2019: Reedsburg Area Vintage Shop Hop. Join Antiques on Main, 200 E Main St, Reedsburg, along with the Branding Iron Roadhouse, Touchdown Tavern and The Cabin Shop for a weekend of fun shopping, and delicious food! We are rolling out the red carpet to shoppers with a flea market, sales, food specials, and more! Join our punch card promotion for a chance to win a $25.00 gift Certificate from each location. Pick up a punch card at any participating business, and hop to the four stops to fill your card and enter. 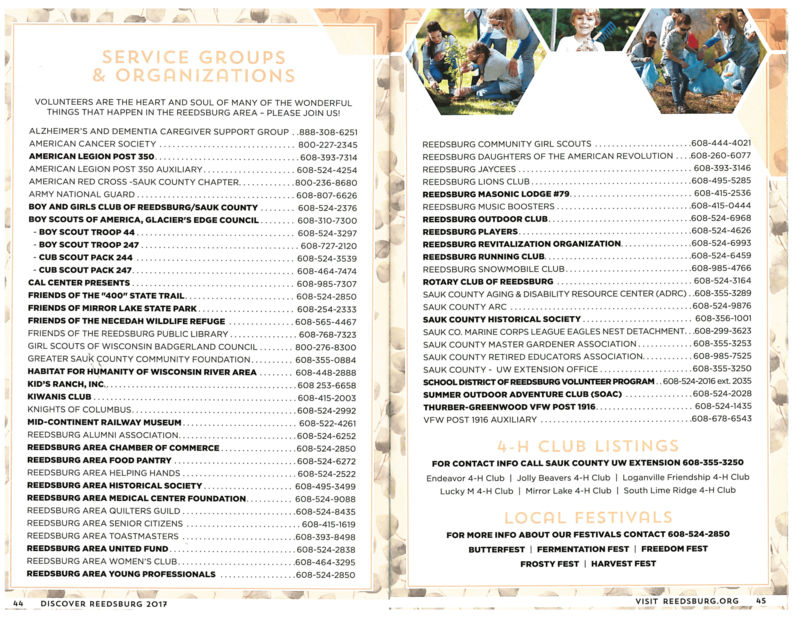 For the most current schedule of events visit: https://www.facebook.com/events/541966649623388/.